Chelsea Green Scheduled For NXT Live Events, WWE Couple To Appear On "Drop The Mic", Alexa Bliss - Wrestling Inc.
- Chelsea Green signing with WWE was confirmed on Thursday as the organization announced the latest batch of talent to join the Performance Center. Green's NXT debut is imminent as she is scheduled to appear at two live events next week. Green announced tonight on Instagram that she will appear at Thursday's show in Cocoa, Florida and Friday's show in Largo, Florida. 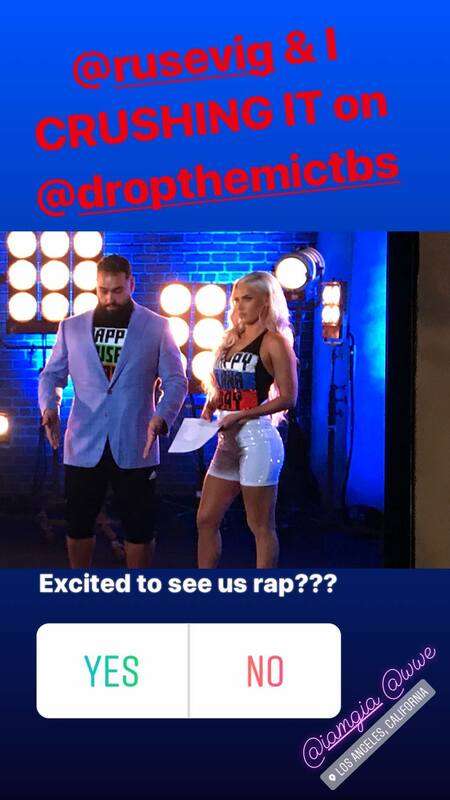 - Rusev and Lana will appear on a future episode of Drop the Mic on TBS, which pits celebrities against one another in a comic battle rap competition. Lana revealed the news today on her Instagram Story. - Ahead of WWE Evolution, Alexa Bliss is Lilian Garcia's next guest on Chasing Glory with Lilian Garcia. Alexa is teaming with Mickie James at the all-women's pay-per-view and she will discuss her match against Trish Stratus and Lita. The interview will be available starting Monday.